Your home will be included in The RE/MAX Collection, our exclusive marketing program for luxury homes. With an elegant look and a name that commands attention, The RE/MAX Collection creates a strong impression among buyers and sellers in the luxury market. Distinctive signage and promotional materials set high-end homes apart in your market, while advertising programs with global publications help promote your properties to millions of affluent customers. 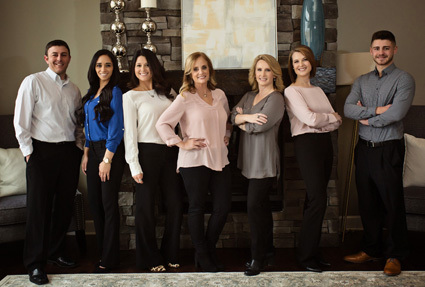 Beginnings KC offers high-end real estate specialists who focus on servicing their clients with the utmost professionalism and attention to detail. Our experience and expertise, along with RE/MAX specialized tools and resources dealing with high-end properties such as: The RE/MAX Collection brochures, yard signs, The RE/MAX Collection Magazine, and other marketing tools at their fingertips are a winning combination. These materials reflect the exceptional service and treatment that luxury homebuyers and sellers expect from their real estate professional. Buying and selling premier homes demands premier expertise. Our RE/MAX Collection specialists have the knowledge and skill—combined with a refined approach—that leads to successful transactions in the luxury market. When you work with a RE/MAX Collection specialist, you’re working with the industry’s top professionals, backed by the most respected name in real estate. We believe in a joint partnership to determine the best marketing approach for your home. Schedule your consultation today.